ISO 27001 is a specification for an information security management system (ISMS). An ISMS is a framework of policies and procedures that includes all legal, physical and technical controls involved in an organisation’s information risk management processes. Pipe Ten is ISO 27001 certified. Relevant suppliers are also ISO 27001 certified or controlled to ISO 27001 specifications. Pipe Ten can assist customers in maintaining their environments and processes to ISO 27001 specification. PCI DSS is the worldwide Payment Card Industry Data Security Standard that was set up to help businesses process card payments securely and reduce card fraud. This is achieved through enforcing tight controls surrounding the system, storage, transmission and processing of cardholder data that businesses handle. Pipe Ten itself operates its billing and core systems including shared backup to PCI DSS for Service Provider Standard Level 2. Pipe Ten Data Centre Partners operate the physical environment security and access to PCI DSS for Service Provider Standard Level 2. Pipe Ten can assist customers in determining appropriate controls for their own PCI DSS requirements. 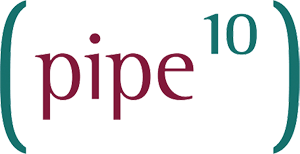 Pipe Ten operates on the bleeding edge of Cyber Security and Compliance. We aim to keep the highest standard in line with ISO27001 and PCI-DSS.